In what could be the preface for the key copyright ruling of 2015, lawyers for the estate of the long deceased Arthur Conan Doyle filed an appeal before the US Supreme Court this week. Lawyers for the Conan Doyle estate are asking the USSC to a temporary stay of the June 2014 ruling by the 7th Circuit Court of Appeals while the lawyers file a formal appeal. The request comes after the 7th Circuit refused to stay its decision on 9 July. Update: The request for the temporary stay has already been rejected. Today's appeal is the latest (and last, hopefully) stage in an 18 month long legal battle which will decide a critical point in copyright law. 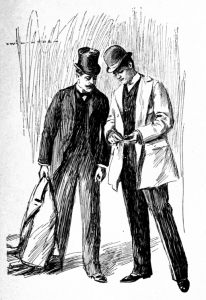 Starting in February 2013, California lawyer and Holmes aficionado Leslie S. Klinger has been fighting a legal battle with the Conan Doyle estate over the exact copyright status of Holmes, Watson, and other literary creations of Conan Doyle. 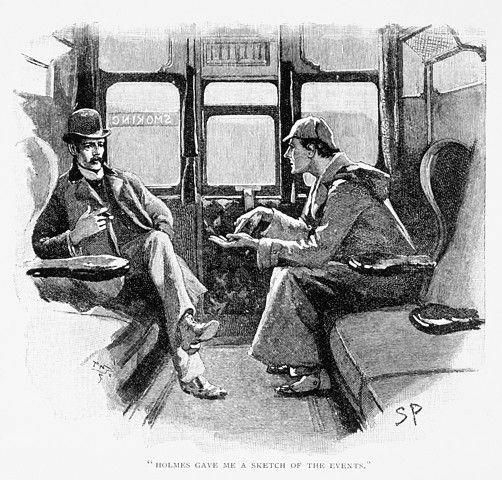 According to the estate, the characters and other details created by Conan Doyle are still under copyright, even though many of the stories written by Conan Doyle have fallen into the public domain. Arthur Conan Doyle has been dead for 84 years, but due to extensions to copyright terms, ten of the 56 short stories he wrote about Sherlock Holmes are still in copyright. All of the short stories and the four novels were published between 1887 and 1927, and all of the works except the ten short stories have entered into the public domain in the US as copyrights expired. These works also entered the public domain in much of the world in the year 2001, 70 years after the author's death. On the basis of the 10 stories, for the oast 14 years the Conan Doyle estate has been collecting fees from any American publisher or media company which used the characters created by Conan Doyle. Klinger disagreed with the estate's interpretation of US copyright law, and in February 2013 he filed a lawsuit in order to get a definitive ruling on the matter. He was inspired to sue after the Conan Doyle estate had blocked the publication of his latest Holmes anthology, In the Company of Sherlock Holmes. Klinger had declined to pay the license fee demanded by the estate, even though he (or rather, his publisher) had paid license fees for his previous Holmes works, including The New Annotated Sherlock Holmes, The Sherlock Holmes Reference Library and The Grand Game: A Celebration of Sherlockian Scholarship. Klinger's lawyer's won the lawsuit in December 2013, and then they won the appeal before the 7th Circuit in June 2014. The appeals court concurred with the district court, ruling that elements of stories in the public domain can be used by anyone because the stories are in the public domain. Naturally the Conan Doyle estate doesn't appreciate that the ruling has taken away its cash cow, and they are now appealing to the US Supreme Court. The estate’s application was filed with Justice Elena Kagan, who is responsible for handling requests for temporary legal orders from cases from the 7th circuit. The Klinger case against the state began in federal district court in Illinois. Justice Kagan has the authority to grant or deny the stay request on her own, and she can also choose to share it with her colleagues or for a response from Klinger before making a decision. It's difficult to say what Kagan will decide, but it's worth noting that she was part of the majority opinion in the 2012 Kirtsaeng decision. That case affirmed the concept of the First Sale doctrine, limiting the control a copyright holder has over a work once it has been sold. Yep. I updated the post just a few minutes before your comment. It’s unfortunate the descendants of Doyle can’t get off their posteriors and make their own money. I have a feeling if they were as successful as their forbear this wouldn’t be such an issue, Doyle wouldn’t be rolling in his grave, and more fans around the world would be reading his work instead of forgetting about it. Most people don’t realize that the original purpose of copyright was to *force* works into the public domain. If you wanted a continuing income stream, you produced new works. Copyright was also 14 years with a 14-year renewal. Copyright law has been transformed into something almost unrecognizable, in which the introduction into the public domain can extend longer than the lifespan of the majority of the population. That’s almost like having no copyright law at all. I think we should just have a flat 28 year term, after which a work enters the public domain. The drive to extend copyright protection seems to have come mainly from Disney. They realised a few years back that their cash cow, Mickey Mouse, would soon fall into the public domain. So they lobbied hard for a change in duration. If they continue to lobby each time Mickey heads for the exit, public domain will effectively cease to exist for most purposes. I agree with your suggested limited term of 28 years: if you haven’t made your pile in that time, then maybe it’s time to create something new. I would add a possible rider, too, that copyright dies with the author of the work. Seems to me that Sonny Bono was the motivation to push the copyright change through. Congress seems to like to do things retroactively. I think any copyright changes going forward should state that a copyrighted work is under whatever rules were in effect when the initial copyright was gained.